PS4? What PS4? It's the Nintendo Download. Hey, did something happen in video games last night? You couldn't tell from looking at Nintendo's corner of the world. It's business as usual over there, with wacky Nintendo Direct hi-jinks and a new crop of downloadable goodies for consoles and portables. 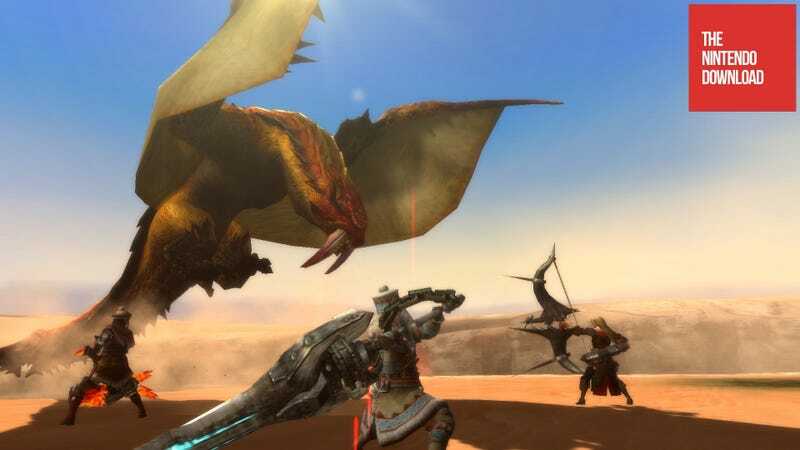 Worth noting is the debut of Wii U and 3DS demo versions of Monster Hunter 3 Ultimate, which lets players sample Capcom's massive online fantasy action game for free. There's also the original F-Zero, Trine 2: Director's Cut, Etrian Odyssey IV and a few more digitally available releases.